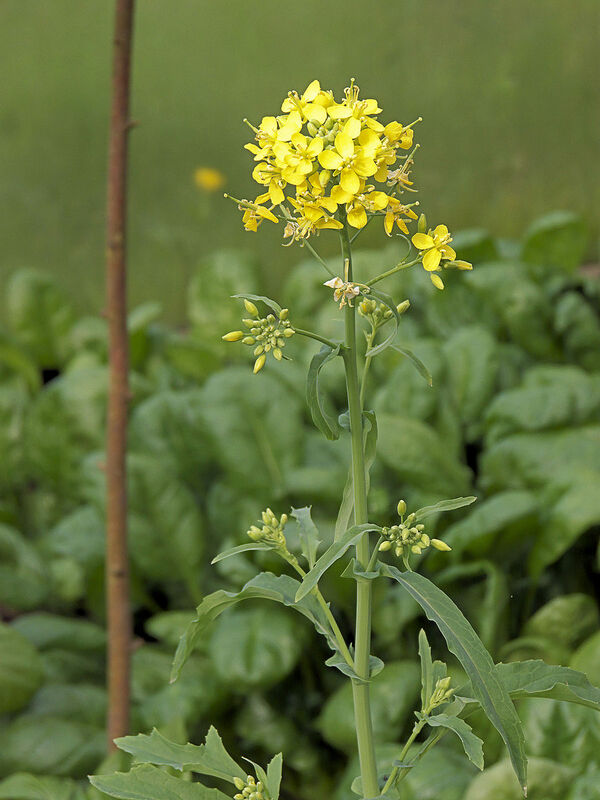 Brassica rapa is an annual herb to 80 cm tall, often pale, waxy, succulent. Leaves alternate, sparsely bristly, lower leaves pinnately lobed, margins wavy, stalked, upper leaves toothed to entire, clasping stem. Flowers pale yellow, radially symmetrical, 1 cm wide, 4 petals. Brassica rapa subsp. campestris fruit. commons.wikimedia.org (11/2017). 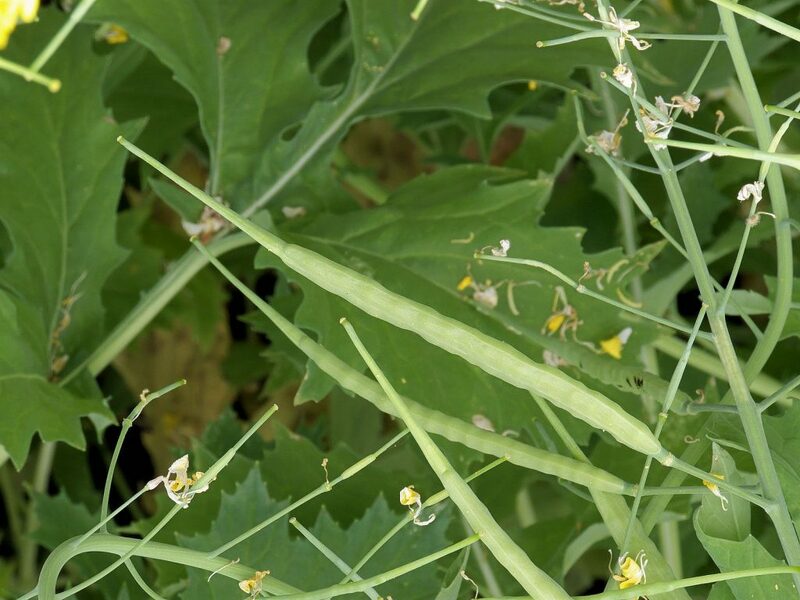 Fruit dry capsule linear, 3-5 cm, pointing upward on stalks 1-2 cm long; blooming and fruiting June-Oct.
Habitat: An agricultural weed of open disturbed areas. Notes: The cultivated turnip is a cultivar of field mustard. Turnip has been found to accumulate toxic levels of nitrate (Kingsbury 1964). Cultivars of the closely related Brassica oleracea include cabbage, broccoli, Brussels sprouts and cauliflower.